Static Clean International (SCI) is a leading supplier and manufacturer of Static Control Products in North America and across the globe. Serving industrial, graphic, medical and electronic markets, SCI’s product line consists of static neutralising systems, bars and power supplies, ionising bench top and overhead blowers, ionising air guns and nozzles, electrostatic charging equipment, laminar flow benches, medical cleaning stations, clean room systems and static control measuring devices. Static Clean International markets the full range of web, sheet and edge cleaning solutions of Weducon including the Corrucleaner® in the USA, Canada and Mexico. 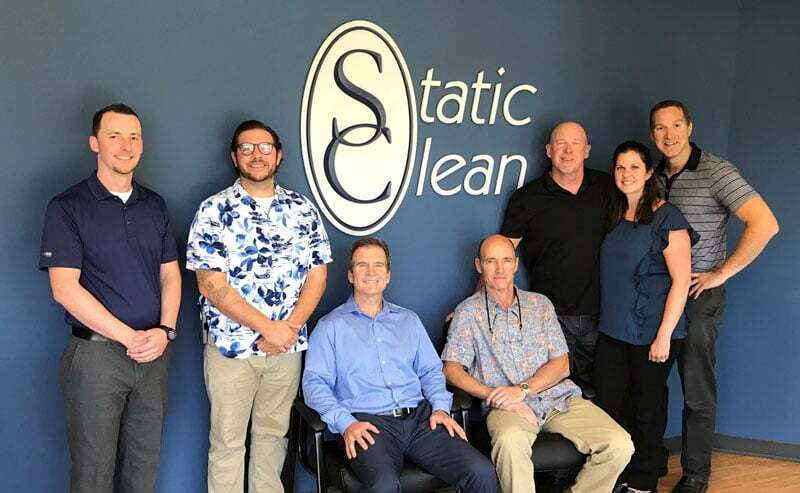 As the exclusive agent for the North American continent, SCI offers 40 years of experience in the reduction of substrate-related contamination. SCI’s goal is to help reduce costs, improve operations and increase quality. For over four decades, SCI built its reputation on being able to service the needs of their customers. In North America, SCI is a leader in static control solutions, able to supply products, technology and advice to all clients that require static control assistance as well as web dust control. Please contact SCI directly for requests or fill in the form below.